How many times have you ended the day thinking, what did I get accomplished today? Have you spent the day super busy but felt unproductive? 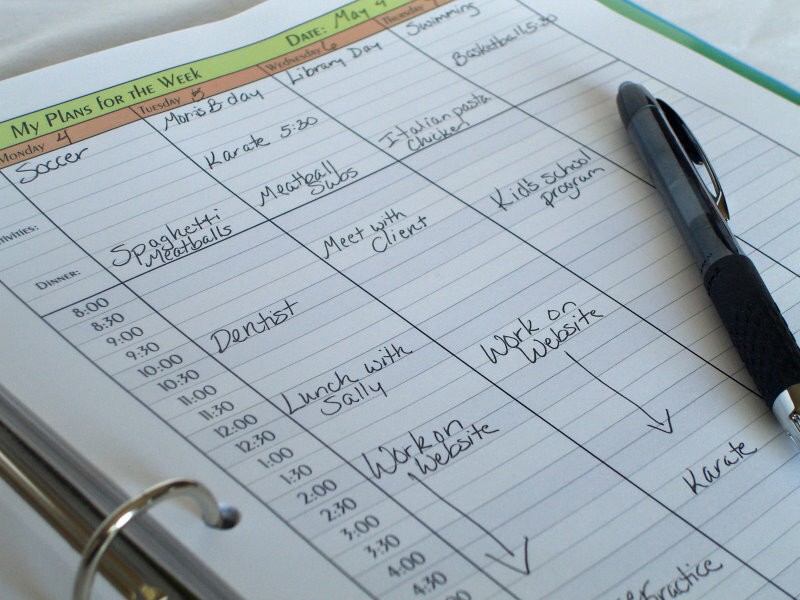 Follow these 5 tips for maximizing your time and prioritizing your day. A planner is your road map for the day. It can be a spiral notebook, a day timer, on your phone, or a dry erase board calendar. Having one place to consolidate dates makes it easy to keep up with activities, projects and tasks. Write in it and check it diligently throughout your day. Use a single list. Even if you start with lots of post it notes, yellow pads with scribbles or writing on napkins, consolidate your list in one spot. Now you are ready to prioritize your work. Your list is to get your mind free from distractions. Choose 3 Most Important Tasks and get these done early in the day. Every day is filled with distractions and interruptions. Getting the most important tasks done early helps you feel productive! Keep your action items in a desktop sorter in files. Finding papers you need to work on saves time and energy. In your desktop sorter, create a file for each of your important projects, your bills, your papers to file, and your receipts. File into your desktop sorter at the end of the day every day. Having a clear desk when you leave and return makes your day feel more efficient. Set specific times for email. Do an email triage, with a quick scan and filing, and then consolidate projects and tasks on your list to work on during your power period. Remember to turn off email during work periods to remove distractions. Checking your email in the morning, noon and just before the end of the day will keep you in touch and still productive. Set a time to end your day. It’s important to get out of your office and connect with your family and friends. Having a quitting time ensures you will work hard, finish up, and still have time for important things in addition to work. For over 10 years, Certified Professional Organizer and Certified Family Manager Coach Ellen Delap has helped her clients make time and space for what’s important to them by organizing their homes, offices and their daily living. Ellen, owner of Professional-Organizer.com, works one on one with her clients in their home and offices streamlining their environment, creating effective strategies for an organized lifestyle and prioritizing organization in their daily routine. Learn more about her and her business at www.professional-organizer.com. Can I get that printable somewhere that is in the picture? Hi Lori, that’s just a general stock photo, but you can probably pick up a daily planner pretty much anywhere.